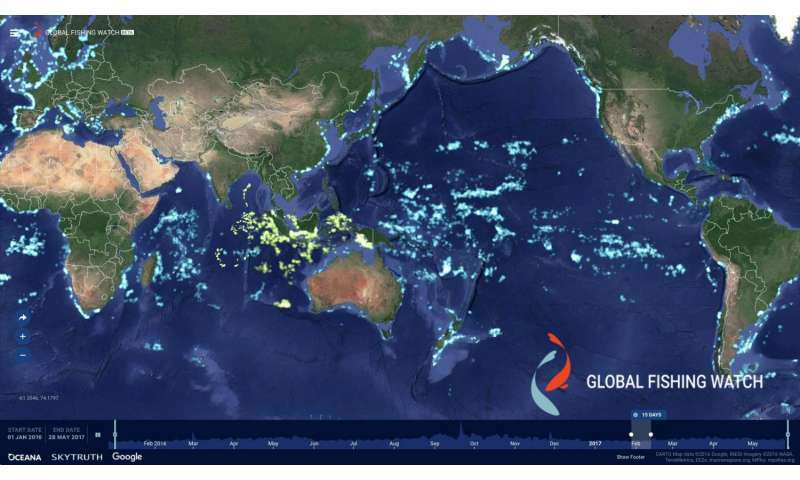 Global Fishing Watch uses publicly broadcast Automatic Identification System (AIS) signals from ships at sea to reveal the activity of the majority of all industrial-sized commercial fishing vessels (those exceeding a capacity of 100 Gross Tons which average around 24 meters). The inclusion of government-owned VMS data adds detailed information on smaller commercial fishing vessels that are not required to carry AIS, and are therefore not reliably trackable by any other means. 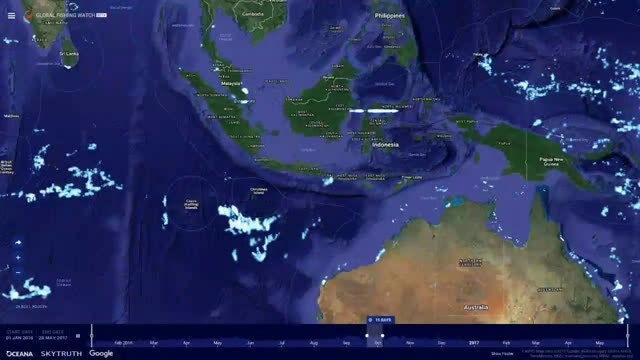 Indonesian regulations require VMS on fishing vessels with a capacity equal to or exceeding 30 Gross Tons (averaging about 16 meters or more).Indonesia is the second-largest producer of wild-caught seafood in the world, and Indonesian VMS alone adds nearly 5,000 fishing vessels to Global Fishing Watch's existing database of 60,000 vessels. "It's remarkable to see how adding in all these medium sized vessels with VMS really fills in the picture for large chunks of the ocean where we knew there was fishing, but just couldn't see it with AIS alone," says Woods. "It is also revealing new areas where we weren't aware fishing occurs." Gains in transparency through the sharing of government VMS data will not only curb IUU, but will benefit the fishing industry as public demand for information about the source of their seafood increases and open data sharing through Global Fishing Watch provides validation of product source.These partnerships with Indonesia and Peru set a new bar for transparency at sea. Making this data publicly available will support regional cooperation in monitoring, surveillance and enforcement, reduce opportunities for corruption, and enable more informed management decisions.